It’s that time of the year again! Vegan Month of Food or Vegan MoFo! The difference this year is weekly themes with daily prompts. If you aren’t a blogger or a blog reader, there will be lots of people participating via Facebook, Instagram, YouTube and Twitter. Day 1: What’s your Favorite Food? Make it and share it! 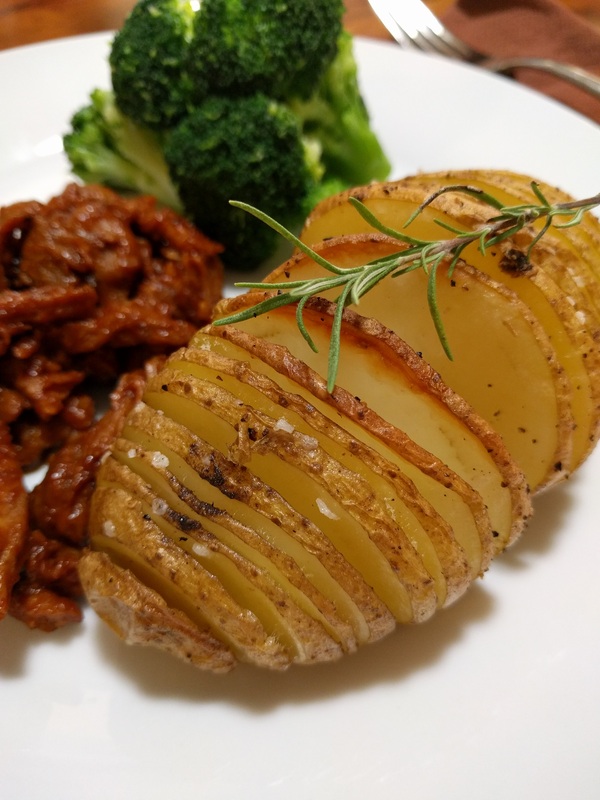 I made BBQ Butler soy curls and hasselback potatoes recently with my favorite new oil – Nutiva’s Organic Buttery Coconut Oil. I was a little wary of the butter flavor but it’s vegan and not an artificial flavor. The Nutiva website says it’s made from coconut oil, sunflower oil and mint. Interesting right? Anytime I want some good fat and I’m not making Asian inspired dishes, I’m using it! Day 2: How to make friends – What’s your go to “impress” me meal? I love to make South Indian food! 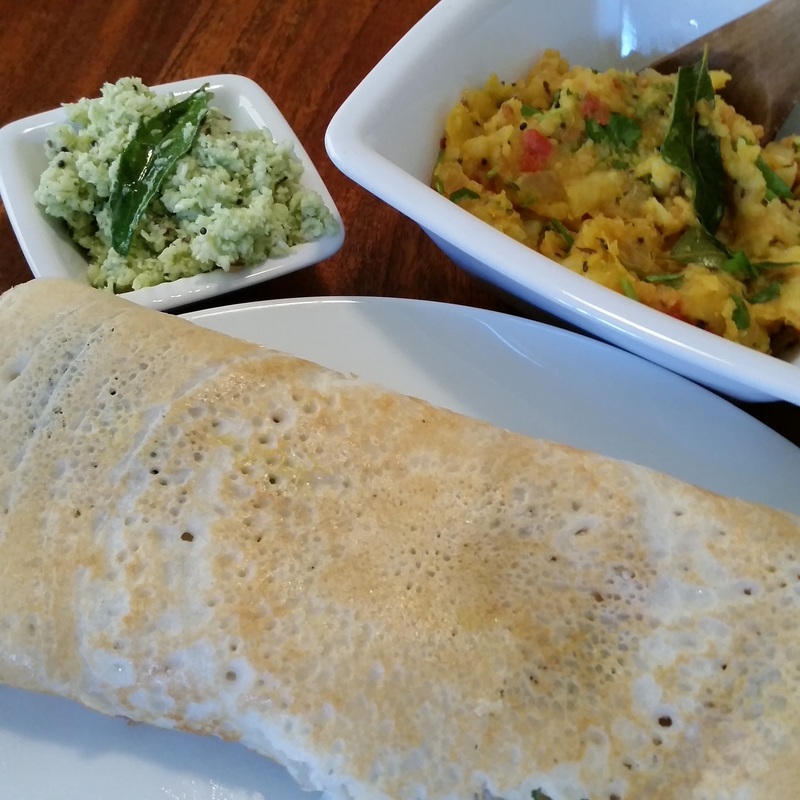 It’s fun to make a large quantity of rice, sambar, coconut chutney and a masala dosa fresh for each person. I’ve been making my own sambar powder for years and have a baby curry tree so I never run out of leaves. Day 3: What’s your “easy cook” meal? That you make when you can’t be bothered to cook much? When I don’t feel like cooking much, scrambled tofu and a little avocado toast is a great meal at any time of day! Day 4: Eating out – Where do you eat when you want someone else to cook for you? If I eat out, I like trying something new. It gets old going to the same place all the time and or having to eat a veggie burger or taco again. 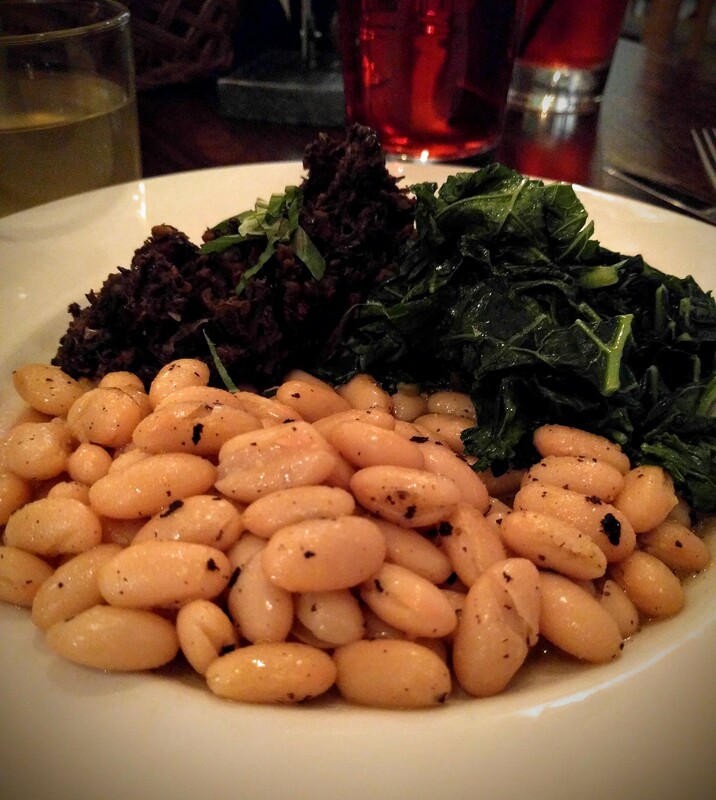 Some friends and owners recently invited me to their new meat-free restaurant in North Austin – Citizen Eatery for the soft opening last Friday. It’s a casual place with a contemporary feel. 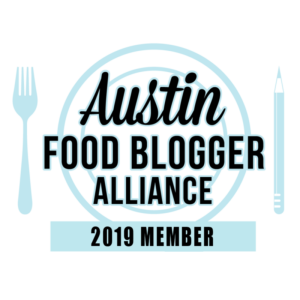 They have breakfast all day – including a vegan breakfast platter that has perfectly buttery cannellini beans, a smokey vegan sausage crumble that was such a savory delight, and a blend of local greens. They smoke onions and mushrooms for this dish and also for their burgers. They aren’t using pre-made soy substitutes as all of they dishes are scratch made. Aimee has been working on a veggie burger patty for as long as I have known her and it is so highly flavorful. It beats all those black-bean patties I have to suffer through at restaurants that have it as an afterthought for vegans. My husband and daughter tried a couple of their burger offerings. I want to try the Assam burger the next time I go in along with more of their Texas Tumbledweed veggie fry bundles. 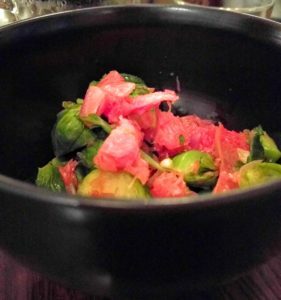 Now the Grapefruit Brussel Sprouts was a chilled dish with quite a unique and refreshing flavor. I think I tasted star anise! I’m so excited when a new restaurant opens that has so many options to choose from! Thank you so much Aimee and Michael! I hope that if you are in Austin that you will head to Burnet Rd and try it! Day 5: Late Night Snack – Tell us what you’re midnight snacking on! The only time I eat a late night snack is if I’m out on the town salsa dancing. If it’s past midnight and I’m hungry, it’s fun to go to Frank. I like to get a Chicago Dog with that happy Day-Glo relish with either their vegan hotdog or specialty vegan sausages. They also have yummy waffle fries! Day 6: Comfort food – Something that always cheers you up. I really like biscuits. Biscuits with vegan sausage is great. Biscuits with vegan sausage and vegan peppered cream gravy is even better! 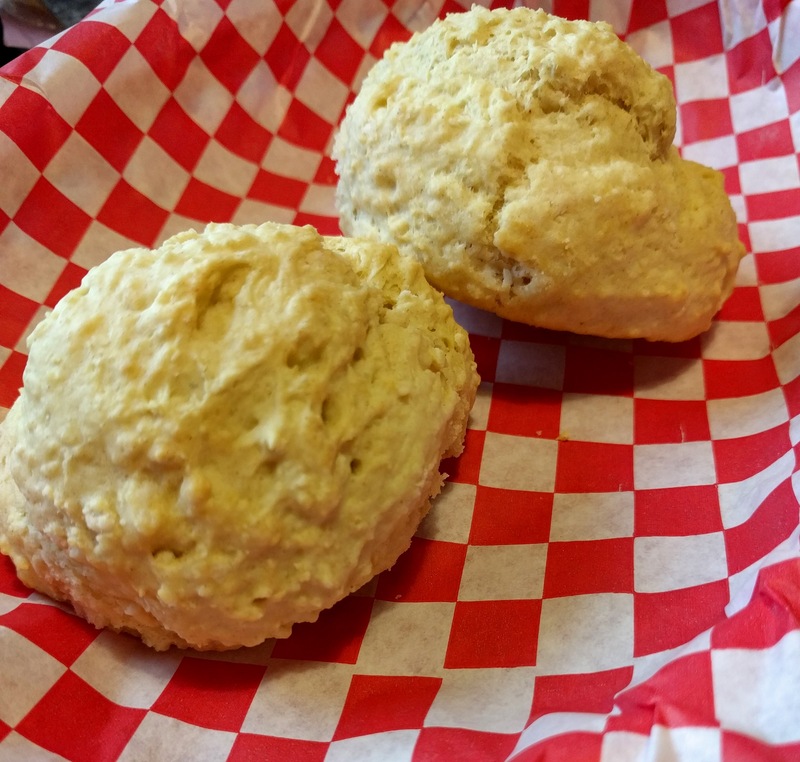 I had some biscuits this morning for free at Green Vegetarian Cuisine in San Antonio, TX. I was visiting family and this is probably one of the only places in San Antonio to get a vegan breakfast that isn’t just fruit or oatmeal. Sleepy Sundays is a theme for 2013’s Vegan MoFo. In our house, Sunday mornings are usually not too sleepy as we get our bums out of bed to do hot yoga as a family. However, we come home to make brunch and then sometimes take a nap. So the sleep happens later! Here’s one of our favorite Sunday brunch items! 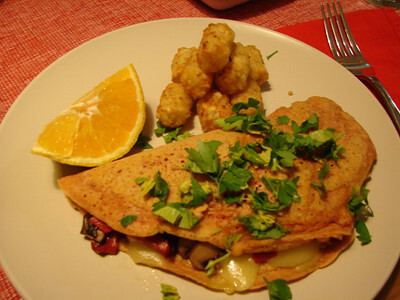 The besan (chickpea-garbanzo) omelette. 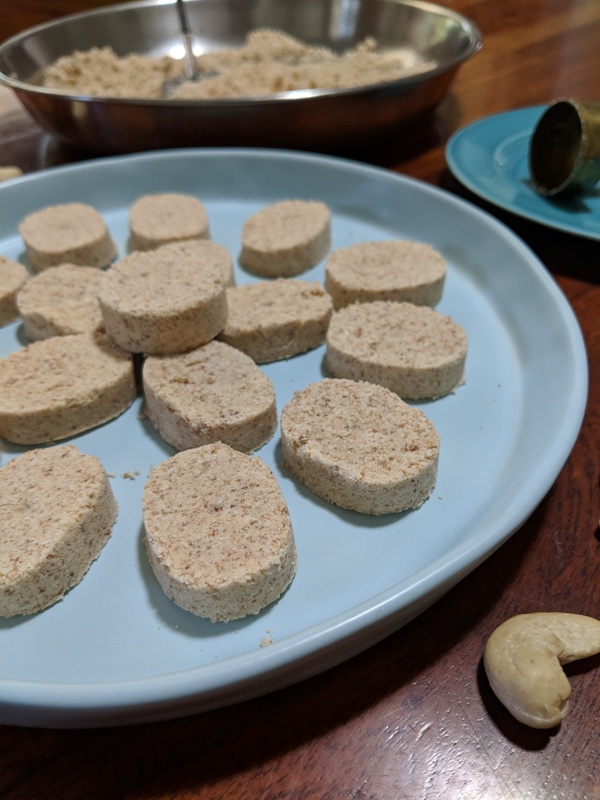 Besan is flour of either chickpeas or chana dal. You can find it at any Indian store at a very affordable price. In regular grocery stores, Bob’s Red Mill has prepackaged Garbanzo Bean Flour. If you are looking for a super simple vegan, gluten-free, soy-free, and high protein breakfast, you’ll love this omelette. Since you can fill it and top it with your favorites, it’s a very versatile way to please many members in your family. How do you make one of these? It’s so easy! In a large bowl, mix together the flour, yeast, salts, and water. It should be a pourable consistency. Put a cast iron skillet on high heat, add 1/2 tbsp of oil and bring down the heat to medium high. Using a metal ladle, add about 1/2 cup of batter to the skillet and use the ladle to move the batter in a circular motion to cover the skillet. You could also pick up the skillet if you are strong and use a circular motion to do the same thing. Cook for 1-2 minutes and watch for bubbles. The bottom should be cooked but not very dry, unless you like a crispier omelette. Flip and cook the other side for a less amount of time, enough to make sure there is no raw chickpea flour. Flip again, add hot fillings and vegan cheese or spinach. Heat through for 1-2 minutes and then serve. After you’re done with the cooking, serve the omelette immediately to the nearest family member or friend. 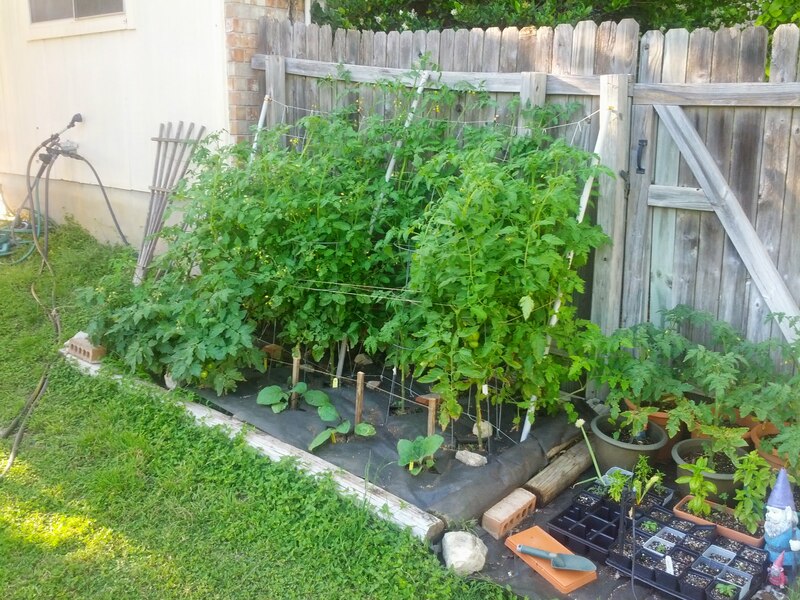 Have out all of your favorite herbs, salsas or hot sauces. 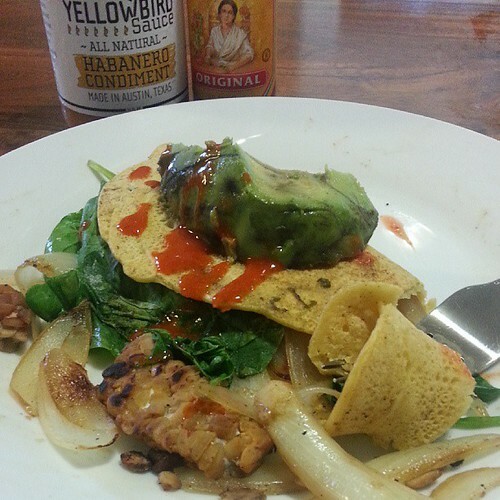 We like the classic, Cholula and also an Austin favorite – Yellowbird Sauce . Support the Yellowbird Kickstarter crowdfund. Don’t forget avocado and some fresh fruit too! Enjoy a yummy brunch and then enjoy some R&R! Good Morning! As back to school started for our family yesterday, I thought I would start a series of posts on good breakfasts. If you look at the word breakfast it is actually 2 words – break and fast. Most of us have been sleeping (maybe not the recommended 8 hours) and have not had food for some time, so it’s important to break our fast and have a healthy meal. Most traditional American breakfasts are high in refined carbohydrates and sugar. They make me feel horrible. As much as I like a donut and can’t wait to find a semi-healthy vegan cronut out there, I would never eat these things for breakfast. They result in a blood sugar crash as insulin rushes in to deal with the influx of sweetness. So what does my family eat for breakfast on a busy weekday morning? To start the week off great, my daughter and I usually have some form of oatmeal on Monday morning. I cook either organic steel cut oats or rolled oats in filtered water. Then I add all of my favorite toppings. Hemp seeds – These amazing seeds are full of healthy fats (including Omega 3’s) and easily digestible protein. I have never really been a fan of flax seeds and prefer hemp. They just taste nutty and awesome. I have a big bag of Hemp Hearts from Costco my husband bought me and I’m thankful for it’s affordability. When it’s possible, I do prefer to buy locally (Happy Hemp – Austin and HippieButter– Terrell, TX – certified organic) even though almost all hemp for food consumption in the US comes from Canada. I’m waiting for some grassroots movements in Kentucky to make hemp and hemp products grown in the USA. Walnuts – Nuts make everything better! They are high density nutrition and a little goes a long way to satisfy the need to have a little bit of fat. Since they are full of flavor, there is no need to add extra oil or butter to the oatmeal. Kelp Granules – Everybody needs a natural source of Iodine. This mineral is important for thyroid function. According to some holistic doctors, most people are not getting enough and the iodine we do get may be negated by brominated processed foods, and chlorine and fluoride in our water. If you don’t eat iodized salt or seafood, seaweed is a good natural source. 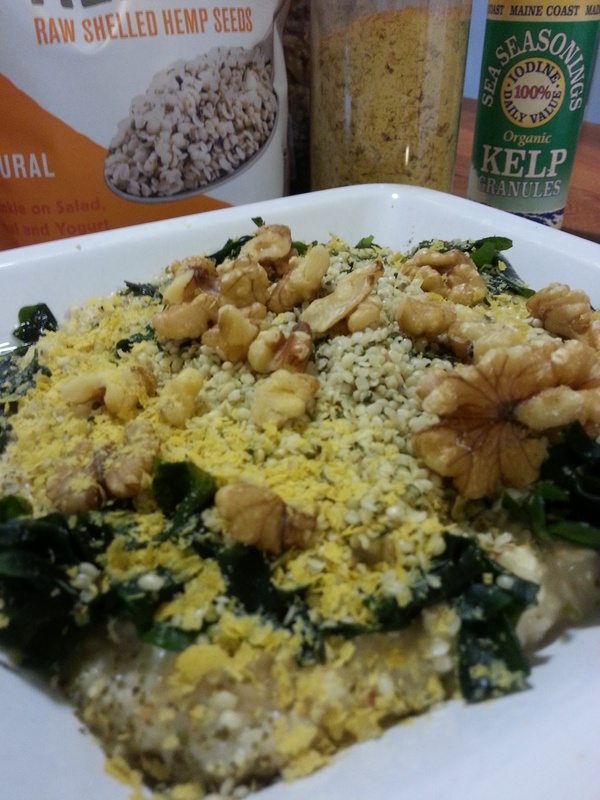 I use these kelp granules instead of salt in my morning oatmeal. Seaweed – I usually put seaweed in my oatmeal. This picture shows soaked wakame. I have used dulse, toasted nori sheets for making sushi, and seaweed sprinkle blends that also have sesame seeds. Any seaweed adds more flavor, minerals and protein. Nutritional Yeast – These cheese-like flakes add great flavor! They are a good source of B vitamins, especially Vitamin B-12. These are specially grown on top of molasses and are not a by-product like Brewer’s yeast. Sometimes I use as much as 1/4 of a cup! The idea that breakfast has to be sweet is something I would love to challenge. Have something sweet, but have it as dessert. Look for more breakfast ideas in the upcoming weeks! What’s your favorite savory vegan breakfast?